We know you're busy AF and don't have time to read everything we publish. 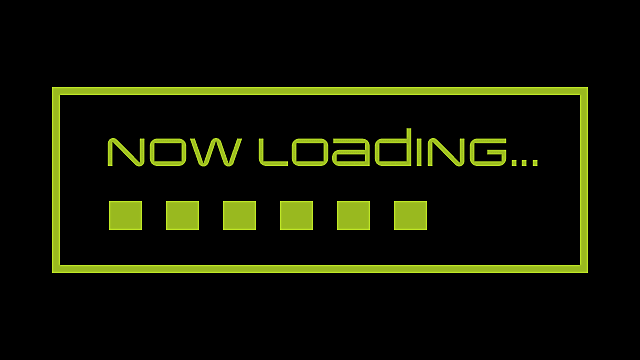 We also know that like most of us, you probably like having things delivered straight to your digital doorstep. Here's most of everything we published this week in one easy to digest roundup, including all things Stadia, The Division 2, and Vampire: The Masquerade Bloodlines 2. We've added links in case you find a headline that tickles your fancy and want to read more. We've also broken things down by category to make it as easy to find what you're looking for. And finally, we've left out posts that are now meaningless because the event or sale has already ended. Capcom said the new mode, dubbed Bloody Palace, is not an April Fool's joke, and players can look forward to timed arena battles facing off against hordes of enemies and bosses. Read more. Ubisoft's latest game gets off to a rocky start, with some strong figures in the sales charts that fall far short of expectations. Read more. The Division 2's skill-busting bug gets a fix, but Ubisoft says it's still investigating the cause of the problem and why Extra and Overlap talents seem to be creating glitches. Read more. 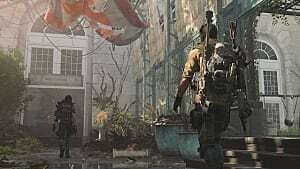 The Division 2's World Tier bug keeps players from progressing through the endgame content, and has defied Ubisoft's attempts to fix the problem. Read more. NESmaker requires no programming knowledge and lets you make NES games from scratch for emulation or on physical cartridges. Read more. Halo fans can now sign up for the Halo insider Program and participate in special early testing for upcoming games, products, and services. Read more. THQ Nordic's Generation Zero is set to release later this month. 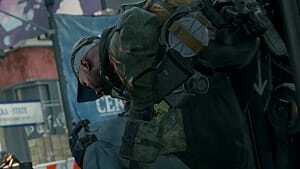 Here's a look at what players can expect from the open-world co-op FPS. Read more. One of Nintendo's hottest evergreen titles is getting a special timed demo that lets you experience some of the game's most popular modes and offers a 20% discount on the game's digital version as well. Read more. A brand-new indie roguelite adventure is making its way to consoles and PC this fall, with action, exploration, retro graphics, and plenty of gadgets. Read more. Get your first look at the upcoming installment of the System Shock series in the teaser trailer dropped at GDC. Read more. At its GDC 2019 keynote, Google announced Stadia, a game streaming service set to release later this year. Here's what we know about it so far. Read more. In addition to its cloud gaming service Stadia, Google also announced a controller for the platform, with features created around YouTube and the Google search engine. Read more. Former EA and Ubisoft exec joins Google to head up the Stadia Games and Entertainment Division. Read more. As expected, you can't run Stadia well on just any old internet connection. Here's what Google said you'll need for 1080p and 4K. Read more. There's some good news for players looking for accessibility options when using Google's Stadia. The Xbox Adaptive Controller is compatible with the service, at least on PC. Read more. The early battle royale/survival mashup had a history of stops and starts, but lack of interest and funding means it's finally time to say goodbye. But is it? Read more. Including some of the company's most iconic games and franchises, three new collections from Konami will bring the nostalgia in 2019. Read more. The long-awaited Wild Frontier update is here at last. We detail all the Apex Legends Season 1 rewards, battle pass pricing, new Legends, and more. Read more. It comes in as BioWare's second biggest-selling game in its first month sales, despite encountering a range of problems and poor reviews in that month. Read more. Cadence of Hyrule — Crypt of the Necrodancer featuring The Legend of Zelda combines Zelda tunes with Crypt of the Necrodancer gameplay. Read more. Epic Games has a few more notches to add to its, "we got this game before Steam," belt, snagging The Outer Worlds and two other games. Read more. A special Killing Floor bundle is coming to PlayStation 4 and PlayStation VR in May. Read more. Cuphead and Mugman are bringing the Dark Souls of Platformers to the Switch very soon. Read more. The long-awaited Oddworld Soulstorm finally gets a new teaser trailer, complete with an accompanying graphics breakdown video. Read more. Playcrafting will end its celebration of women in gaming with a special panel at the Microsoft Flagship Store on March 28. Read more. Deep Silver's Metro: Exodus saw a strong first month in sales, despite the controversy surrounding its change to the Epic Games Store. Read more. Mortal Kombat 11 enters closed beta in less than a week. Before that, check out the latest character reveal trailer. Read more. The wait is over. Vampire: The Masquerade: Bloodlines fans are finally getting the sequel they've been waiting for. Read more. Watch college teams from all over the South compete in the Georgia Esports League PantherLAN event at Georgia State University on April 6. Read more. It's Sony's first Nintendo Direct-style presentation, and it promises to deliver information about upcoming PlayStation 4 and PSVR software. Read more. Cyberpunk 2077 fans will get their hands on the game by 2021, according to information released by CD Projekt Red. Read more. 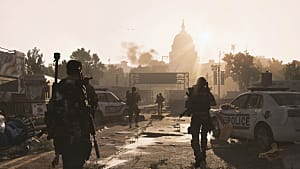 The Division 2 is an improvement on the first game in almost every way, and it's both a fun game and a satisfying investment. Read more. An Ape on the run looking for a way out is fierce to face, and fun to play as. Guide your ape to freedom, smashing any gun-wielding captors who get in your way! Read more. The ascension of Vampire: The Masquerade Bloodlines 2 to the top of Steam's top-sellers list further proves the community is thirsty for a new bloodsucking RPG. Read more. The Epic Games Store won't feature as many games as Steam, partially because it refuses to allow any game that doesn't meet its quality standards. Read more. 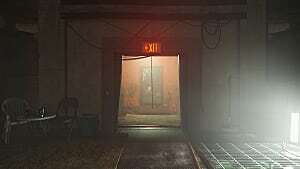 Game Director Mathias Karlson talks about the lengths to which Ubisoft went to make The Division 2 as realistic as possible. Read more. If you ever wished Ark was set in the wild west, you've found your perfect survival game as long as you can look past a laundry list of bugs in early access. Read more. People are unsure about Google Stadia's capabilities, but does it even matter to core gamers anyway? Read more. FFXV isn't the game the community wanted, but in its current state, it's still a greatly enjoyable experience. Read more. Video games are made or broken by the text that tells their stories. This is the story of 8 different games and franchises with some serious translation problems and how those errors came to be. Read more. Not every gun in The Division 2 is created equal. This list shows you the best of the best, sans exotics. Read more. 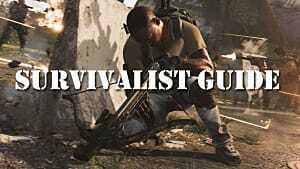 Need to know how to bring your crafting in The Division 2 to the highest level? Then check out this full guide on how to upgrade the crafting bench. Learn more. 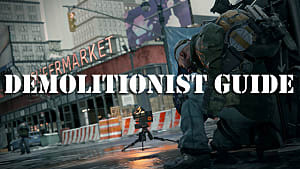 Check this guide out for everything you need to know about leveling and getting ready for end game in The Division 2. Learn more. 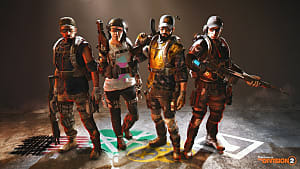 Learn how to share items, gear, and loot with your teammates in this guide for The Division 2. Learn more. 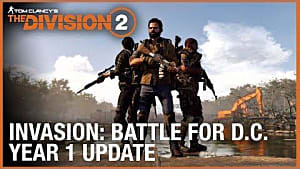 Follow this step-by-step guide to complete the Navy Hill mission and unlock a secret WW2 uniform in The Division 2. Learn more. The Chatterbox SMG is one of the most powerful exotic weapons players can get in The Division 2, but it involves some cache raiding in specific places. Learn more. Faction keys are your ticket to rare and powerful loot, and this guide tells where to find Hyena keys, while also touching on Hyena chest locations. Learn more. This guide shows you exactly how to use the map to your advantage in Jaws.io, as well as how to get the killshot as the hunter, and how to unlock skins. Learn more.